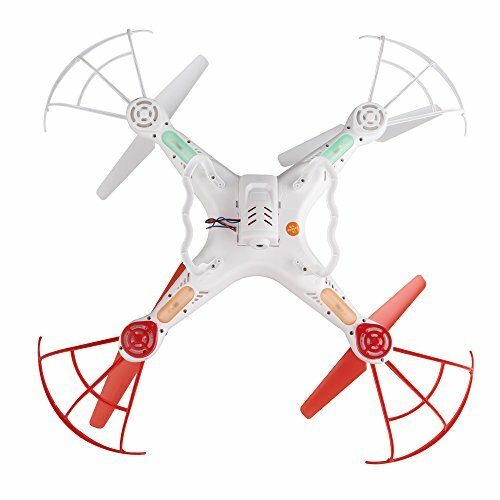 Are you interested in buying a quadcopter? Do you want to learn to fly but you only have a budget of less than $50? If so, this article will help you decided which drone you should get since I am reviewing the top 5 drones for under $50. Of course, any “top-5” list is subjective to the person who is writing it (me) and therefore other people will have different recommendations. However, I have tried and tested 100’s of drones and the list below is what I personally believe are the top 5 quadcopters for under $50. All of the drones below are great and they should act as a stepping stone so that one day you will be able to fly bigger, better and faster drones much more easily! Lets get on with this list. It goes without saying that the Husban X4 is the best beginner quad on the market that is less than $50. I have tried and tested many drones over the past 4 years and this is my favourite. But don’t just take my word for it – take a look all the 4*/5* reviews on Amazon. This drone has been a best seller for a long time and rightly so! If you want to get into the drone hobby but you are still not sure if you like it, then I recommend that you try out the X4. The Husban X4 is small, compact and very portable drone than you can take with you pretty much wherever you go (the drone is around 6 inches squared). It has very bright LED lights on the bottom so that you always know which is the front and back of the drone. The flying time on the Husban X4 is also impressive, coming in at somewhere between 7-8 minutes (which is longer than lots of drones that cost $100+.) It takes around 30 minutes to charge which is quicker than almost any other drone for this price. SYMA are one of the most trustworthy and popular companies when it comes to drones. 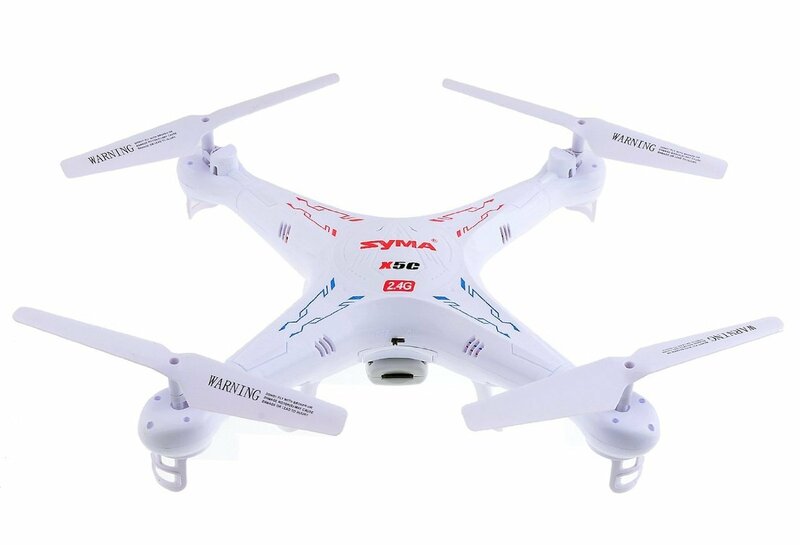 The SYMA X5C-1 drone is an excellent beginner friendly drone that contains lots of modern features. Out of the box, it comes ready to fly (no complicated setup is required.) However, the instructions they provide are minimal but this really isn’t that much of an issue since everything is so intuitive. The drone itself has a fly time of between 6 to 8 minutes and is very stable in windy conditions. It takes between 40-45 minutes to charge which is decent but longer than the Husban shown above. One of the main benefits of this drone is that it is tough. It is covered in a hard plastic shell that should protect it reasonably well if you crash. The Syma is quite large coming in at 310 x 310 x 80mm. This means that it is not as portable as the Husban X4 but it is much stronger and more durable. You can also perform lots of tricks with this drone such as barrel roles, flips and much more. Finally, the drone is super responsive whilst also being very safe and easy to learn with. It is a pity that the range is only 50m though. The Akaso X5C is a complete bargain. It is quite large coming in at 300 x 300 x 140 mm but with its size comes strength and stability too. If flies for 8 minutes which is also great for a quad this cheap. The Alkaso X5C has been designed for beginners. There are guards around the blades which means that if you are crashing into things, you are protected. Moreover, Akaso have made the X5C very easy to use. The drone is ready to fly as soon as you take it out of the box. All you need to do is connect the battery wire to the power source and bam… your ready to fly! It also has nice bright LEDs so that you can see where the drone is flying during the night. It is also equipped with an HD camera. This means you can take decent quality videos and images which you can store on the micro SD card. Whilst the video quality is okay, don’t expect it to be movie quality. Whilst this drone is stable, it is also able to do tricks such as a 360 degree flip amongst other movements. The range is around 80 meters which is also decent. The main downside for me is that the charge time of 60 minutes. If you are worried that you are going to break your drone as soon as it starts flying, then worry no more! 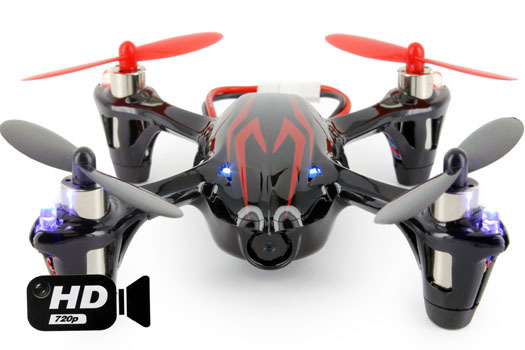 The RC Stunt Drone Quadcopter is just about one of the toughest little drones on the market. 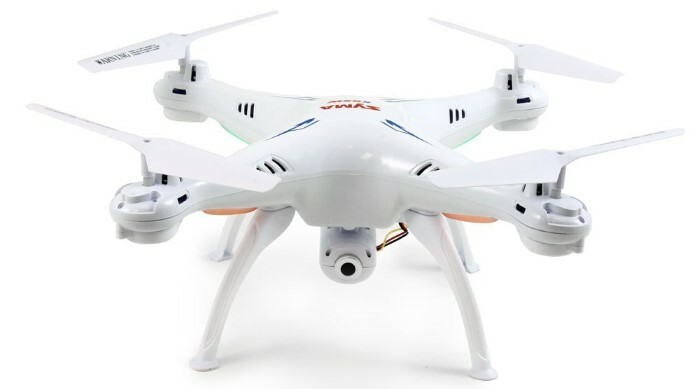 This drone is “durable and crash proof.” This is because all the screws have been reinforced and the three bladed propellers give a better thrust and energy efficiency when compared to 2 bladed propellers. Also, the propellers are surrounded by circular shock absorbers reducing the impact of a crash. 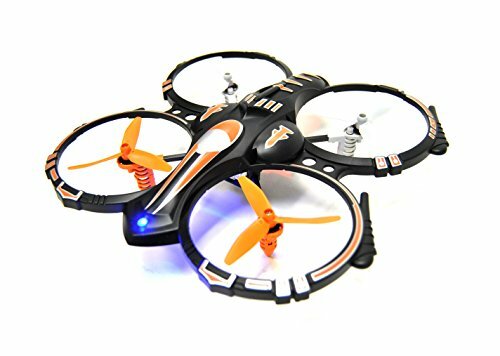 This drone has also been designed for beginners who want to learn how to do flips etc on their drone. It can perform 360-degree flips and lots of other different tricks since it has an adjustable speed mode function. There is a gyroscope that keeps the drone stable and it uses a new battery technology which improves the battery life. The charge time is 60 minutes per battery (LONG) but if you use 2 fully charged batteries, you will get a total flight time of 12 minutes. Therefore, in perspective, the charge isn’t that bad. This drone is relatively portable and is a little bigger than the palm of your hand. If your looking for a tough drone then buy the RC stunt quadcopter. This is a fantastic drone that will introduce beginners into the world of FPV (First Person View) flying. This is because the Syma X5SW has a 0.3MP camera that beams video straight down to your smartphone so you can see exactly what the drone sees from your phone. The built in 6 axis gyroscope means that the drone remains strong and stable even in strong winds. The main drawback on this drone is the charge time – it takes about 120 minutes to charge for 6 minutes of fly time. This shouldn’t be an issue if you don’t mind waiting that long. It also has a 50-meter range when flying which is also a good distance for a beginner. Basically, the reason you would want to buy this drone is if you are interested into getting into FPV. I would not recommend this drone to someone who is just looking to have a bit of fun flying, but rather someone who would like to buy a more expensive FPV drone in the future, but just wants to test the water with a cheaper one first. Thanks for reading this article. We try and be as honest as we can here at DroneUplift by showing you both the positives and negatives of each drone so you know exactly what your buying before you get it. Feel free to share this article below. Thanks!